James William Condell Fegan was born on the 27th April 1852. He was the youngest of four children born to James and Anne Fegan. His father worked at the Ordnance Survey office in Southampton, England. He was brought up in a religious family, which coloured his entire life. 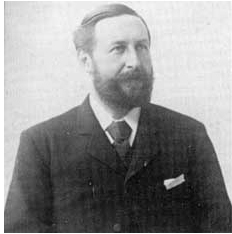 Although James Fegan didn’t belong to any particular church, he was well known for his beliefs. His mother taught him at home until the age of ten. His hobbies and interests were mainly outdoor pursuits, such as football, cricket and fishing. In 1869 the Fegan family moved to London, and on his thirteenth birthday James entered the city of London school. After four years James left the school and went to work for a firm of colonial brokers. As young man, he had a strange experience while sitting in his room one evening he had a strong need to turn to god. It was almost from this moment that he devoted his time and energy to spreading his religious beliefs. It was while out one evening preaching that Fegan noticed a group of dirty, scantily dressed and barefooted boys sitting on a kerb near to where he was standing. As the boys got up to leave, Fegan felt compelled to follow them, until they turned down a narrow alley and entered a shabby building. It had the name The Ragged School. He himself entered that building and was greeted by array of faces, all asking him to teach them. So James Fegan had his first contact with the first of a great many poor boys whom he would spend his life helping. He taught the boys and even spent Sunday evenings working with them. But soon his health started to suffer; coping with the hustle and bustle of commercial life and then devoting most evenings working with the boys, his health deteriorated and went to the seaside resort of Bognor Regis to re-couperate. It was whilst in Bognor that James helped his first boy to find a home. That boy’s name was Tom Hammond. He brought the boy back to London and looked after him until he could organise a place in an institution. Here the boy spent eighteen months before being sent to Canada to start a new life. Life at Fegans was hard and unsentimental; nevertheless it seems that most boys came through the experience unscarred. Here is one account from a boy who found himself at Fegan’s in 1944. His story may be typical. Syd Sharp is an ex-Fegan boy who was sent to the Home at the age of 12. Upon contact with him, he was able to contribute a large amount of material for this website, as well as giving us an insight into the day to day life within the Home. Former Fegans boy Syd Sharp was born 1932 and joined the Fegans Homes For Boys in Stony Stratford, during1944. He had lived with his aunt and her son at Chalk Farm, near Camden, North London. It was at the height of the German bombing campaign on the capital that they moved to Bounds Green, North London, where Syd attended school, finding the staff and pupils friendly. Tottenham Hotspur football club was within easy reach, which suited Syd’s passion for sport. He spent many a Saturday afternoon on the terraces at the club’s White Hart Lane ground, and when football was out of season he indulged in cricket. Life in Bounds Green was a very happy time for Syd. Unfortunately, it wasn’t to last. His uncle returned from Army service overseas and, when his aunt was expecting another baby, it quickly became obvious that there was little room in the house for Syd. He was given the impression that he was being sent to a very nice boarding school which had its own swimming pool, and that, once there, he would be able to return to his aunt’s house during school holidays. In fact, as Syd was soon to learn, this was not the case. 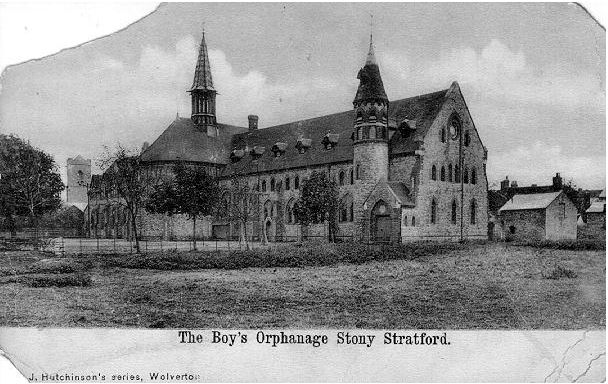 The school was in fact an orphanage – and Syd would not have the opportunity to return home for holidays since no school holidays were given. He missed his friends and school in Bounds Green terribly. After a couple of months at Fegans, a parcel arrived for him from his old friends at Bounds Green, they had a collection for him, and with the proceeds the school mistress purchased three books and sent them to him with individual letters from everyone in the class, it made him even more unhappy, as it brought back memories of his carefree and happy days before life at Fegans. To make matters worse, also within a short while all family contacs diminished, and to overcome his loneliness, and as a mechanism for coping, Syd pretended he had no past life and that the life he was now used to, was the only existence he knew. It was a hard life in the orphanage and they didn’t have much contact with the outside world, but over the years it got a bit better, when they were eventually given a bit more freedom enabling them to go outside the orphanage. In time, however, Syd managed to adapt to his new life and eventually settled into the routine. Memories of the harsh discipline and regimental routines within the Home never knocked Syd’s spirit, and to this day he looks back on his life as a Fegans Boy with some fondness. At the age of 14, Syd was transferred to the training farm in Goudhurst, Kent. There the boys were trained in general farming, such as fruits harvesting and the milking of cows. Ploughing was carried out by the horses but older boys could use the tractor given training. It was here that most of the boys were trained in preparation for their eventual transfer to Canada. Syd was not one of them -he considers himself to have been one of the “lucky ones”. To hear Syd talk more about the farm click on for video footage. He left the farm aged 17 and entered the RAF for two years, (1950 -1952). He then joined the civil service, serving 38 years before retiring to Old Stratford, South Northhants with his wife. He also has a son and daughter living not far away. He maintains good contact with former Fegan Boys all over the world, and finds time to organise re-unions at both the former training farm in Goudhurst (now H.M. Prison) as well as at the site of the Home in Stony Stratford. Syd Sharp has written a book all about his time in Fegan’s Home for Boys which includes his memories of the training farm at Goudhurst. The title is “Black Boots Short Trousers”. Syd Sharp was a Fegan Boy between 1944 and 1949. In this video clip – which shows scenes from the daily routine at the home – he gives us his impression of daily life.